Cost: $10 general admission, $5 students. Tickets available at the door. 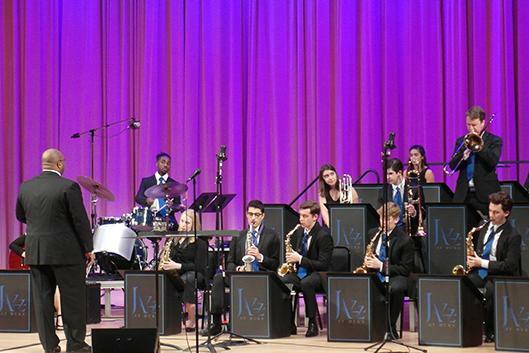 Annual concert featuring the Duke University, North Carolina Central University, & UNC-Chapel Hill Jazz Ensembles. The Duke Jazz Ensemble is directed by John Brown. This year's concert will be held in Moeser Auditorium in Hill Hall on the UNC-Chapel Hill campus.